(MoneyWatch) The solar power industry in China took a big hit this week as the main subsidiary of Suntech Power went bankrupt. 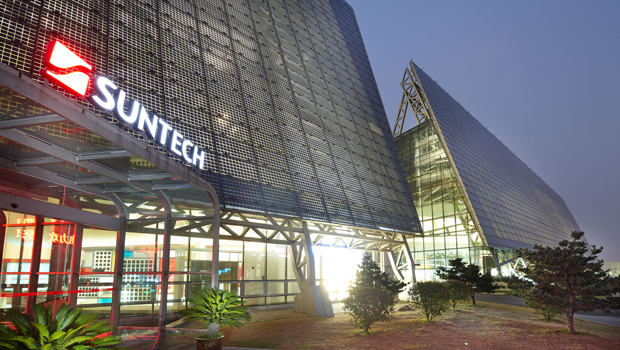 One of the largest solar panel companies in the world, Suntech had expanded quickly in recent years on growing demand for solar power and fed by large subsidiaries from the Chinese government. But those subsidies are over. The dynamics of the solar market have turned it into a commercial money pit. The use of solar power has emerged around the world, not necessarily as a main source of energy, but as a way to generate supplemental electricity, particularly in locations not easily served by existing power grids. According to trade group Solar Energy Industries Association, installations of photovoltaics -- the technical term for solar cell panels -- grew 76 percent in the U.S. between 2011 and 2012 at an estimated value of $11.5 billion. But one factor driving that growth has been the artificially low costs in solar. Photovoltaics are a type of semiconductor. And has often happened in the chip industry, demand for a certain product has led to many companies ramping up production, driving down prices with excess capacity. Eventually, the market catches up. Companies either go out of business, or remaining companies shut down plants they don't need. Chinese solar gear makers, backed by Beijing, have made life difficult for their U.S. and other competitors. Such support was a major reason why one-time industry darling Solyndra went belly up. By supporting companies like Suntech that dumped products internationally at artificially low prices, the Chinese government has helped undermine the market and provide unrealistically priced solar cells.